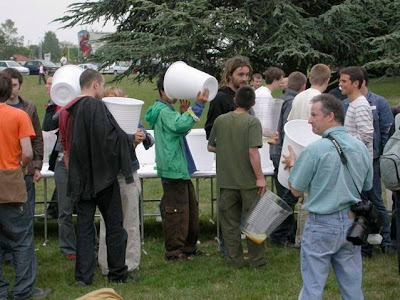 For the Annual Company Picnic, management had decided that because of liability issues, we could have alcohol, but only one drink per person. Lmao omg that is great. I'd say this is one time when the staff got one over on the boss:) I love those cups!